Some police officers have been explicit in the contention that police corruption is what breeds terrorism. Tamils who are regularly taken in by the Police on suspicion would readily agree. Officers in charge of some police stations and certain officers in police units investigating terrorism have been known to hold persons arbitrarily to obtain money for their release. Reports of such officers have come from detainees held by the CDB, CSU, and the more recent TID. Amounts charged have recently been known to exceed Rs.100 000, driving affected families to desperate straits. The practice rose sharply following the LTTE’s terrorist attacks in Colombo in 1991, continued into the term of the PA government in the latter 1990s, and then spread into the estates peopled by Hill-Country Tamils. Several police officers contend that the most promising first step in tackling the problem is to do with the role of the magistrate. The detention of a suspect even under the Prevention of Terrorism Act requires the Police to conform to some objective criteria of suspicion. They point out that in every recent case where a fundamental rights petition has been filed on behalf of a detainee, the Supreme Court has granted relief. *In a typical case, the magistrate compounded a particular disability suffered by a Tamil in Colombo. 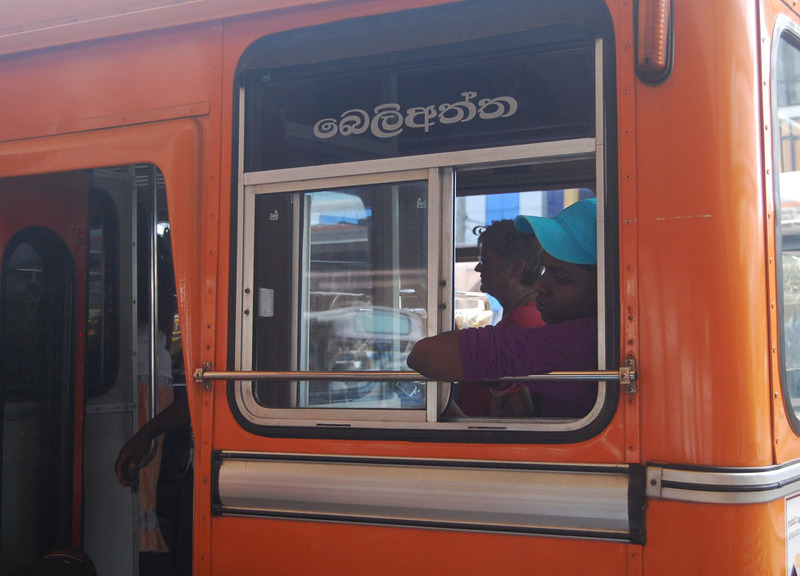 A Tamil woman from Jaffna who could not read bus destination boards that were only in Sinhalese, boarded a bus pointed out by a bystander, got lost and was detained by the Police on suspicion. When a person is to be detained under the PTA, the police officer submits a report to the magistrate and requests a detention order. Magistrates, who are usually far better educated than police officers, rubber-stamp such requests without asking questions and it does not hurt them. Magistrates are not answerable for their decisions. But it is the less educated police officer who is faulted in a fundamental rights action and not the magistrate who should have scrutinised the matter. In a typical case, the magistrate compounded a particular disability suffered by a Tamil in Colombo. A Tamil woman from Jaffna who could not read bus destination boards that were only in Sinhalese, boarded a bus pointed out by a bystander, got lost and was detained by the Police on suspicion. It took her family a month to locate her. The magistrate extended her detention order from month to month, giving the Police more time to bring evidence of her terrorist links. In the absence of any shred of evidence, the magistrate discharged her after a year in detention! One must also keep in mind that like the Police, the role of the magistrate (a future judge of the higher courts), also suffers as the result of politicisation of law enforcing functions. We have earlier cited a case where a magistrate following procedure with regard to an individual having influence in presidential circles was, as it were, fortuitously interdicted two days after he refused to rescind an arrest warrant against the same individual. The Tamil PTA detainees are far from having such privileges. Like with the Police, members of the Judiciary too find life more rewarding when they do what the political bosses expect. Things were bad during the Jayewardene era. But one cannot pass over with equanimity the disturbing trends under the Kumaratunga government. « The Search For Justice: Will Sri Lanka Match Up To The Task?